 USA  2016  105m   Directed by: Steven L. Fawcette.  Starring: Olivia d'Abo, Michael Madsen, Dina Meyer, Marina Sirtis, Michael Dorn, Nana Visitor, Linda Park, Jeffrey Combs, Nichelle Nichols, Julie Warner, Gilbert Gottfried, Robert Picardo, McKenzie Westmore.  Music by: Gerald Fried. Four astronauts travel to the Moon on a rescue mission to determine the fate of two NASA comrades who have not been heard from in several days. The individuals they find at the Lunar Base are not whom they appear to be and, through acts of trickery and deception, nearly succeed in killing our heroes. The four return to find that everyone on the planet has been transformed into a variant life-form. Aliens from Mars have conquered Earth and now seek to destroy the last remnants of humanity. 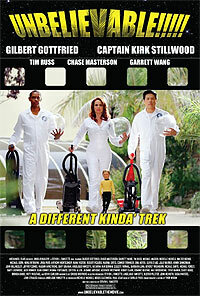 The astronauts fight back and soon discover how to rid themselves of the alien threat.